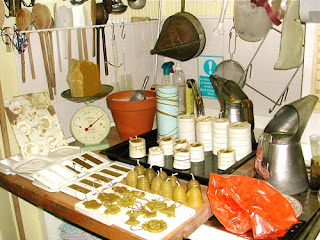 > Beeswax Collection- How to do it! 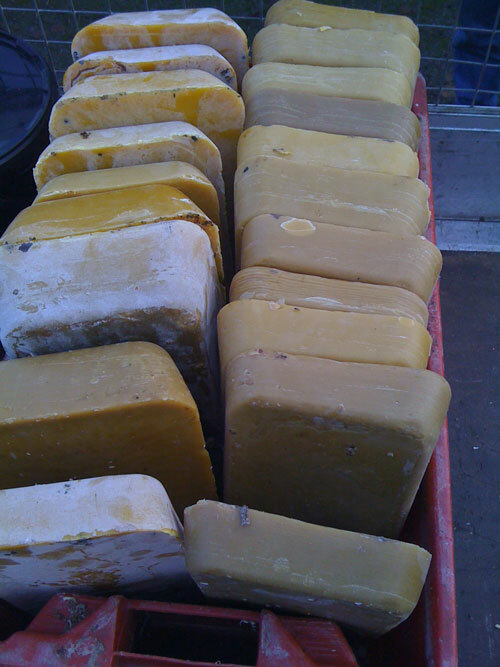 There are many ways to collect and clean your beeswax. A simple solar beeswax melter is a handy hobbyist solution. It consists of a simple box with glass double glazing in the lid. Angled towards the sun it uses the suns rays to melt and naturally bleach the colour of the wax back to its light golden colour. Many large wax refineries use acid to bleach the wax which is not great if you wish to make cosmetics with your beeswax or candles. 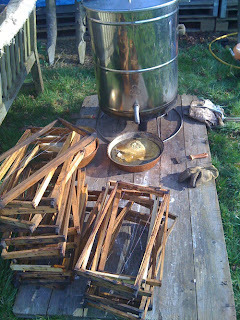 The other method is using steam to melt your wax through muslin cloth. 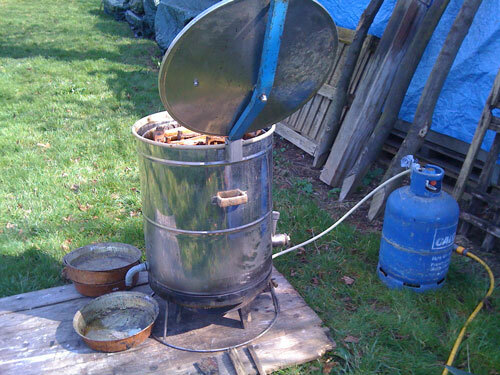 We use a large stainless steel steam melter to sterilise our frames and reclaim the wax. The high temperature of the steam kills nosema spores, wax moth eggs and other moulds and yeast’s that could be harbouring in the wood or wax. We use our large steam extractor for the first crude filter followed by our smaller steam extractor for the final fine filtering.